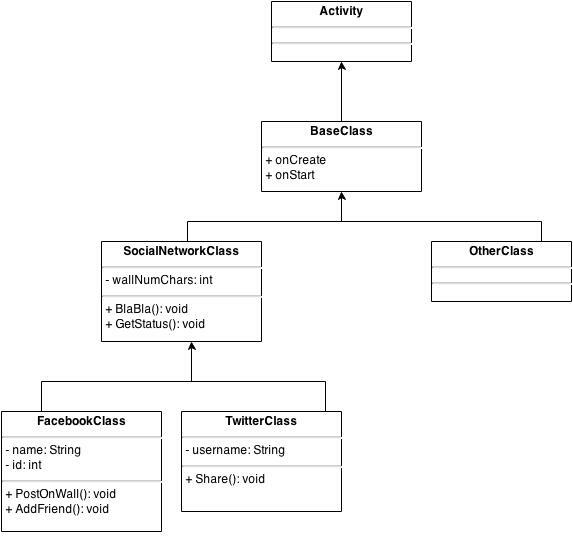 On FacebookClass I can't use methods like findViewById, because I don't access BaseClass objects (super super class, I mean), it's like if I can't use Activity methods. My intention with this hierarchy is produce less code (and reuse code). Could anyone help me, please? Thanks!! How to implement download manager manually pause/resume on Android? Is it a good idea to require passwords in offline applications?